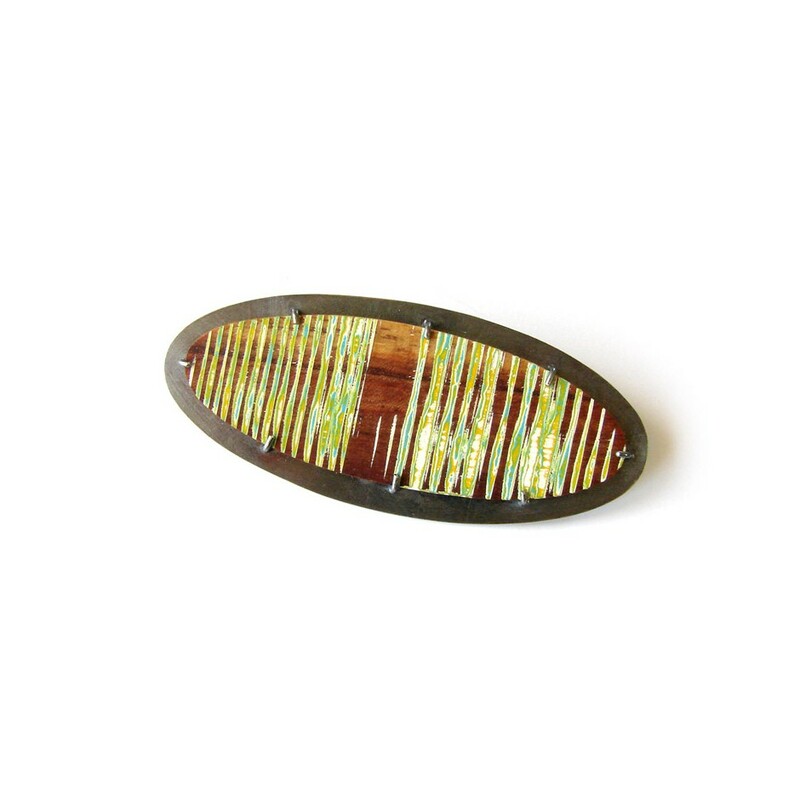 Heike Schumann 01 - Brooch - Unique piece - Elegant oval-shaped brooch made of Bubinga wood, acrylic paint, blackened silver and stainless steel. 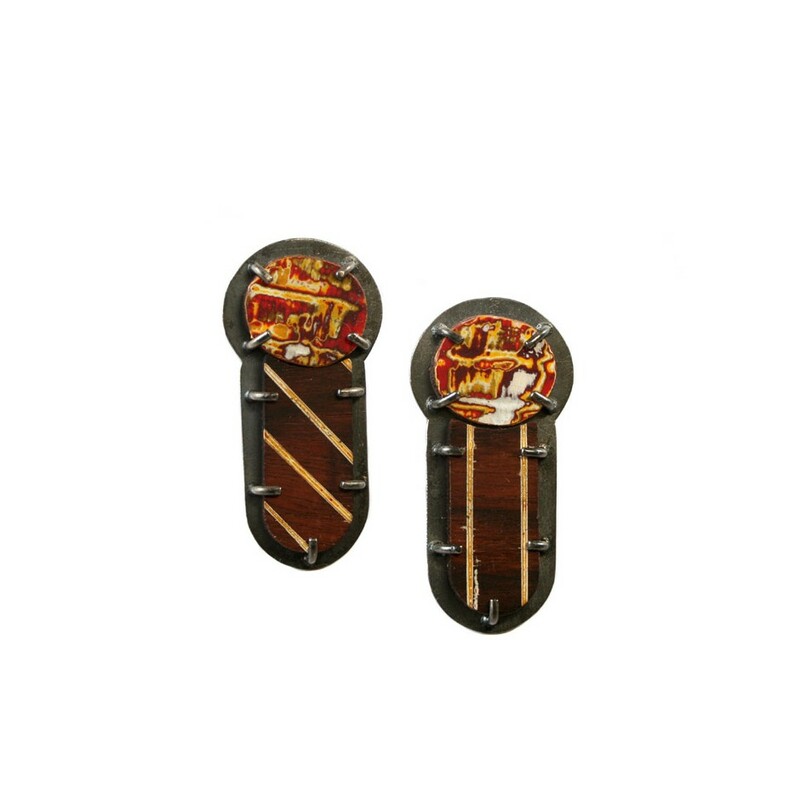 Heike Schumann 02 - Earrings - Unique piece - Refined oval earrings made of Bubinga wood, amaranth, acrylic paint and blackened silver. 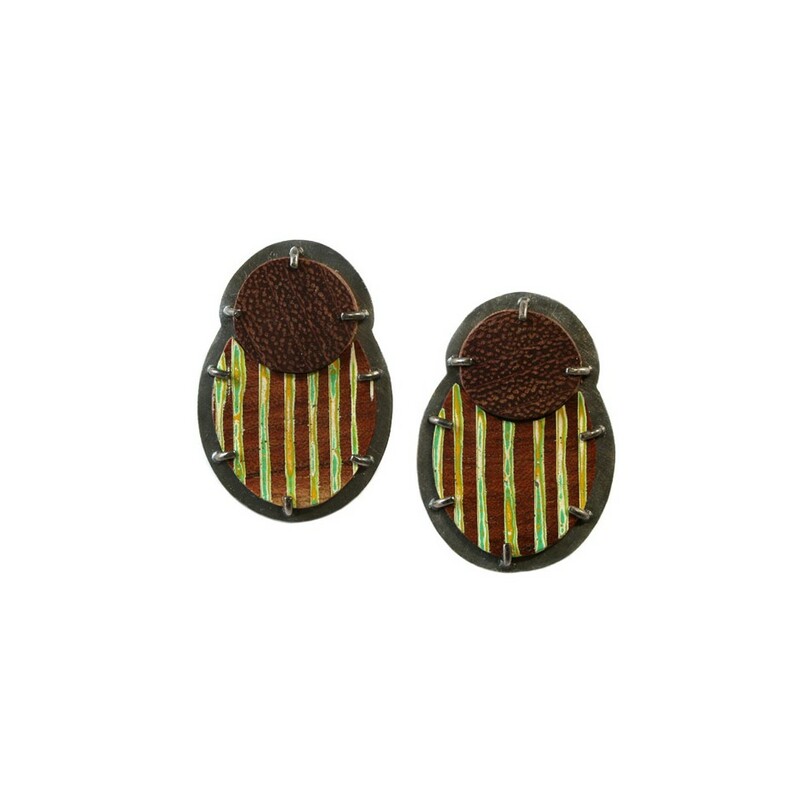 Heike Schumann 03 - Earrings - Unique piece - Unusual earrings made of violetwood, acrylic paint and blackened silver. Heike Schumann 05 - Brooch - Unique piece - Original oval shaped brooch with blue spots and made of plane wood, acrylic paint, blackened silver and steel.